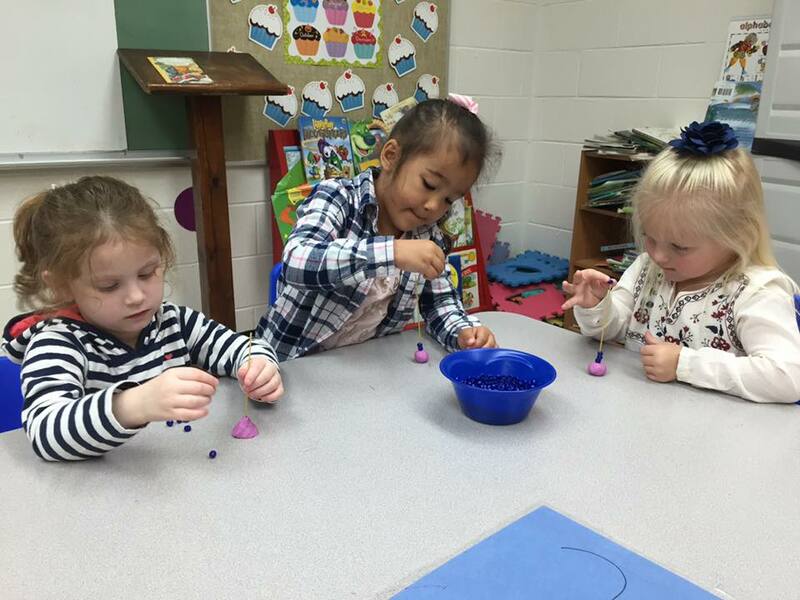 Preschool enrollment is now open for the 2019-2020 school year. MCCA Preschool has separate classes for 3 and 4 year olds. We offer full and half days as well as full and part time. We strive to teach the total child! Each day the students start their morning in assembly, there we have our pledges, announcements, song and prayer. We then head back to our classrooms where we enjoy our Bible time, songs, fun learning activities and so much more. Each day we have some sort of recess whether it be outside on the playground; in the gym; or exercise songs, videos, and games in the classroom. Our preschool students work hard on learning songs for our Thanksgiving program, Christmas program, and Graduation. We like celebrating and learning about the different holidays as well as enjoying parties for Christmas and Valentine's Day. The children especially love when we have special visitors such as the fire department, police, etc. We truly love to have FUN in PRE-K! Pre-K3: "My name is Misty Pierce and I have been at MCCA for 11 years. I am married and have 3 sons. My oldest son graduated from MCCA in 2011 and the other two still attend MCCA. I know that this is what God called me to do with my life." Pre-K4: "My name is Melissa Meadows and I have been teaching preschool for over six years. I am excited to be part of the MCCA family! I love engaging young minds through creative exploration using well-written picture books, hands-on learning experiences, and exciting lessons. Having fun in the classroom is one of my top priorities! • I am married and have two children. • I love Jesus and coffee. • I love to paint and create things. • I was born and raised in Oklahoma. My prayer is that I’ll ignite a life-long love of Jesus and learning in each of my students! " Our mission is to provide a safe, structured, and Christ-centered atmosphere for children to be able to learn, grow, and be filled with the joy of Jesus Christ. We want the children to know that they are loved for who they are! We learn our colors, shapes and to count to 25. Three year olds are curious and ready to learn! We enjoy lots of crafts and hands on lessons but most importantly we have a Bible lesson each day. We review our basic colors and shapes. We work on letter recognition and counting to 100! We work hard on writing our name and getting ready for Kindergarten! We love to do science experiments and work with our hands. In Pre-K4 we will have Bible lessons as well as weekly memory scripture.